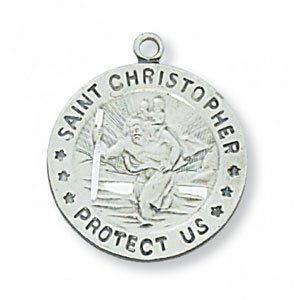 Medal measures 1″ in diameter and includes a 24in. 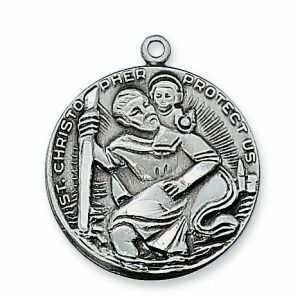 Rhodium Plated Chain. 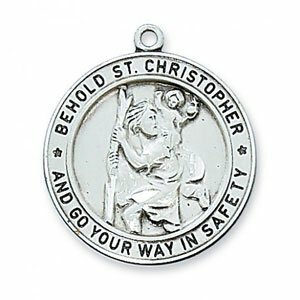 Comes in a Deluxe Gift Box. 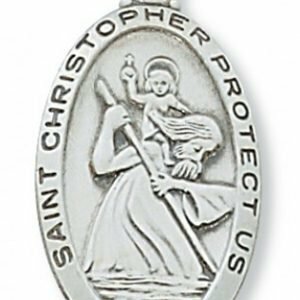 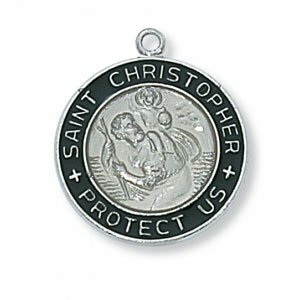 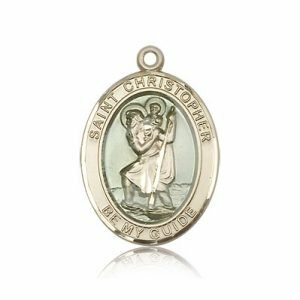 This beautiful Saint Christopher medal is made of high quality sterling silver. 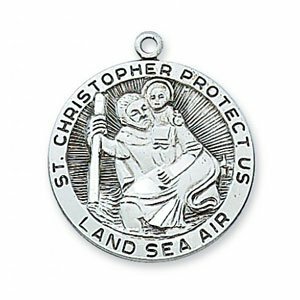 The large medal measures 1′ in diameter and includes an 24in. 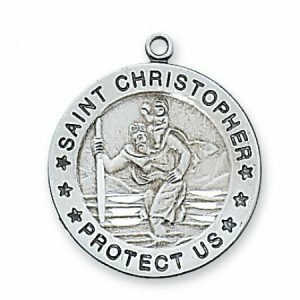 Rhodium Plated Chain. 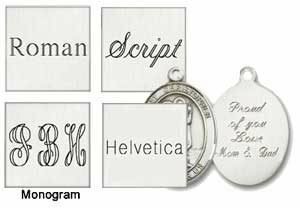 It also comes with a Deluxe Gift Box.